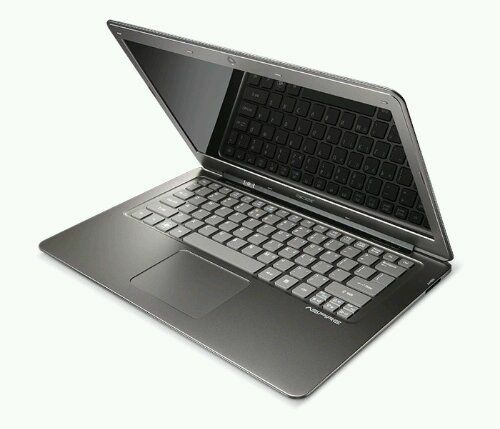 Acer’s Jim Wong has told media in Taiwan that Ultrabooks are on track and prices will fall, potentially to $499 in 2013. Acer had planned to ship, that’s ship, 250000 to 300000 units of the Acer Aspire S3 this year and expect to achieve that target. It’s a slightly veiled shout of confidence to the media but even shipping a third of a million devices requires a lot of risk-taking and investment. I’ve seen Ultrabook market penetration estimates that range from 40% by end of 2012 all the way across to this, the lowest forecast so far. 13% by end of 2012. As we all know by now, the Ultrabook is radically different to traditional notebooks in terms of design and production so as far as I’m concerned, if we see all major manufacturers on board with production lines and supply-chains responding, there will be no turning back and the Ultrabook design and production methods will permeate most of the laptop market. 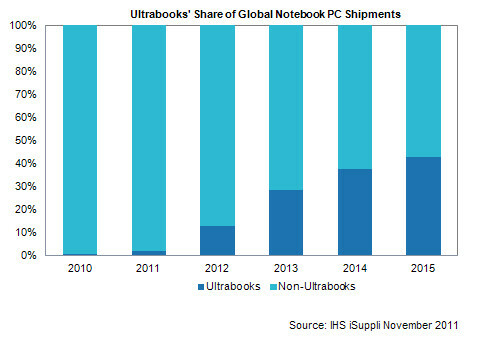 I expect we will see the first signs that the Ultrabook design is succeeding in late 2012 with netbooks, Windows 8 ‘Ultraslates’ and perhaps a new style of MacBook Pro looking distinctly ‘new-wave’ and as the Ultrabook design starts to become cheaper because of volumes, the market will flip completely.